At the heart of this world is Academy City, an advanced metropolis whose population is comprised mostly of students. The majority of students are enrolled in the city's "Power Curriculum Program," where they must learn to master their latent psychic powers. Out of several million students, only seven are deemed powerful enough to have Level 5 status. Meet Mikoto Misaka, the third most powerful Level 5 esper in Academy City. 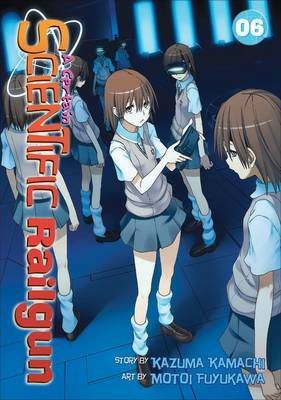 Together with her best friend Kuroko Shirai and the other members of Judgment, a student-run law enforcement agency, Mikoto delves deep into the dark heart of the scientific sprawl she calls home, and uncovers secrets she wishes she hadn't!